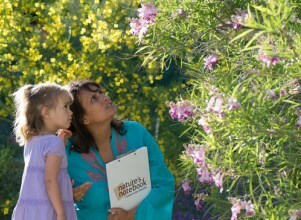 Educators around the country are developing materials to use with Nature's Notebook. Explore Nature's Notebook materials created by the National Coordinating Office Staff and partners. Seminar series created by Alisa Hove, Brian Haggerty, and Susan Mazer at UC Santa Barbara. Lecture notes for the Phenological Resonses to Environmental Change powerpoint presentation created by Alisa Hove, Brian Haggerty, and Susan Mazer at UC Santa Barbara.